What problem do you want to solve? At the University of Nevada, Reno we equip you with the knowledge, skills and tools to develop solutions for 21st century questions that haven't been asked yet. 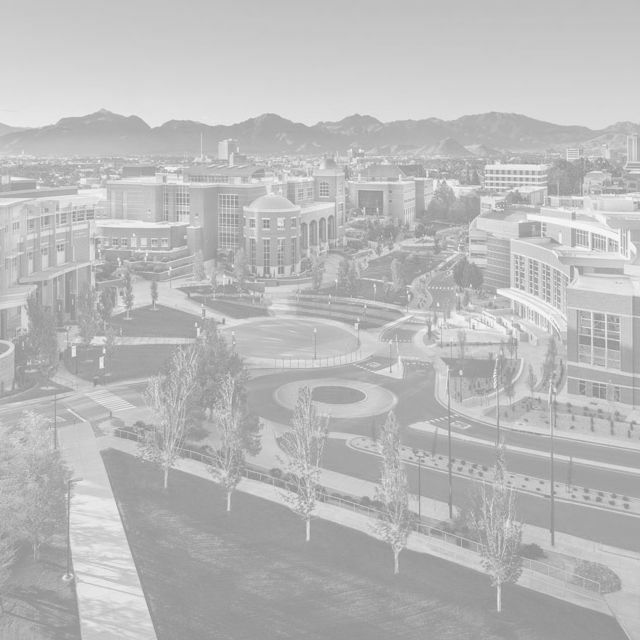 As a land-grant institution, the University of Nevada, Reno emphasizes making a college education a realizable goal for those who apply. Through a focus on experiential learning, high-impact research opportunities and community outreach, an education at the University prepares students for academic, personal and future career success. With a diverse student body representing all 50 states and 96 countries, we are truly a diverse and dynamic Pack. 92% of full-time instructional faculty hold the highest degree in their field. Students and faculty work in more than 60 research centers and facilities. Our School of Medicine prepares tomorrow's physicians and medical professionals. Extended Studies offers a variety of non-degree and professional education options in gaming management and more. Our 11 colleges and schools connect students to learning opportunities that allow them to pursue their academic passions to generate solutions to tomorrow's most complex and challenging problems. Whether your goal is to become a doctor, a teacher or an epidemiologist, the University of Nevada, Reno has a degree program for you. With nearly 500 academic programs, you can select from an array of degree options. The accounting major provides students with the theories and procedures necessary to prepare them for the many facets of the accounting profession, such as public, industrial, managerial, tax and government accounting. Students gain the knowledge base and conceptual infrastructure needed to make valuable contributions as business professionals in a global economy. This major combines accounting and information systems classes to produce broad knowledge of both areas, including technical management, communication and accounting theories and procedures. Students use this major most frequently to pursue employment with consulting organizations that market, implement and maintain business information systems. The Center for the Application of Substance Abuse Technologies provides training, technical assistance, evaluation, research and other services to support addiction prevention, treatment and recovery. Students can pursue undergraduate certificates and minors, as well as an advanced graduate certificate in addiction treatment services. The agricultural science major provides students with professional training in agricultural system management and a strong foundation for a career in land use management. In addition to rangeland livestock production courses, the curriculum spans a variety of disciplines, allowing students to become knowledgeable in animal science, wildlife science, soils, botany and ecology. The animal and rangeland science program prepares graduates for careers in animal nutrition, physiology, genetics, health, reproduction and more. Students learn about ecology, hydrology, grazing management, rangeland animal and wildlife interactions, riparian ecosystems and many other subjects in this diverse program. Anthropology is a unique discipline that operates at the crossroads of the physical sciences, social sciences and humanities to examine the diversity of human experience across cultures and over time. Because of this breadth of focus, anthropology is highly relevant to understanding and living in a rapidly changing world. In this undergraduate minor program, students will not only learn the Arabic language but also get a broad understanding of Middle Eastern culture and politics. A minor in Arabic language & Middle Eastern cultures enriches a variety of majors that value an understanding of foreign language and culture. Instruction combines studio and art history classes with diverse studies in the liberal arts. Full discipline concentrations in the areas of art education, art history, ceramics, digital and time-based media, drawing, painting, photography, printmaking and sculpture are available, as well as experiences in the areas of performance art, gallery management and videography. This program includes courses spanning the ancient world to the present with emphasis on the Middle Ages to global contemporary art. Students are introduced to a range of different methodological models and critically examine how art, architecture, design and visual culture intersect with social, cultural, political and economic contexts. The Physics Department is proud to offer an astronomy program, as well as research opportunities using the department's telescopes, spectrometer and CCD camera. The program is designed for students across the disciplines, not just science. The University offers observing from the Planetarium, Leifson Physics and the MacLean Observatory. Atmospheric sciences encompasses many areas of study that explore the atmosphere's physical characteristics, motions and processes, and how these influence the environment and human life. Students learn to interpret and predict weather patterns, analyze climate trends, monitor air quality and work in a variety of agencies, laboratories, businesses and educational institutions. The Center for Basque Studies is an international study center dedicated to research into and publishing on Basque topics. We provide basic Basque language instruction, give classes on many Basque topics, host international scholars and conferences, promote research, offer a Ph.D. and undergraduate minor, and publish a wide variety of books. Students in the battery and energy storage program learn how batteries function, how they are manufactured and how energy can be harvested, stored and utilized. With over 50 courses to choose from, students can customize the program to meet their specific interests and career goals. Graduate degrees in biochemistry are offered through the molecular biosciences interdisciplinary graduate program. We prepare students for careers in biological and biomedical research, industry and teaching. The curricula train scientists for critical analysis and solution of biochemical problems at the molecular level. The Department of Biology provides a strong foundation for either a career in the biological sciences at graduation or to further professional training in fields such as medicine, health sciences, conservation biology, wildlife biology and biotechnology. Biology majors choose to follow either an ecology/evolution curricular track or a cell/molecular track. Biomedical engineering is a highly interdisciplinary field that includes experts in cell biology, electrical engineering, chemical engineering, pharmaceuticals, medicine and many more fields. Our biomedical engineering program emphasizes the fundamentals of electrical engineering, including instrumentation, sensors, signal processing and advanced image processing. The biotechnology program aims to produce well-trained researchers with theoretical knowledge, technical skills and real-world experience based on both academic research experiences and internships in the biotechnology industry. This accelerated, five-year degree program gives students both a bachelor's and master's degree upon completion. Today's business leaders face increasingly complex responsibilities, demanding extensive knowledge of all functional areas of business. Maintaining and enhancing managerial and leadership capital is key to success. The objective of the business administration degrees are to prepare students for managerial and executive positions. Cell and molecular biology is a degree path within the molecular biosciences interdisciplinary graduate program. We prepare students for careers in biological and biomedical research, industry and teaching. The program offers a supportive environment for a large graduate student body. Students will find excellent research opportunities in a variety of areas. Students in this program learn principles of physiology and pharmacology and are given opportunities to integrate this information in problem solving scenarios. The program offers numerous opportunities to present work at different platform levels, and graduates will gain effective oral communication skills. Chemical engineering emphasizes physics, chemistry, mathematics, biology and creativity to solve problems, from developing new pharmaceuticals safely and efficiently to creating clean and inexpensive fuels for energy conservation and pollution prevention. Our degree programs provide both breadth of knowledge within chemical engineering and depth of knowledge in a particular area. Chemical physics provides an interdisciplinary curriculum for those students whose primary research interests are in atomic and molecular physics and physical chemistry. While requiring students to complete a rigorous selection of courses that outline the foundations of modern chemical physics, the program also offers extreme flexibility in the choice of dissertation topic. Chemistry is the science of the structure, reactions, energetics and control of matter. In addition to its widely recognized importance as a fundamental science, chemistry is central to the continued development of engineered materials, energy technology, pharmaceuticals and biotechnology, nanotechnology and novel computational technologies. Students in the undergraduate minor in Chinese Studies in the World Languages and Literatures Department not only learn the Chinese language, but get an understanding of the culture, history and economy of China and Asia. A minor in Chinese will enhance a student's major, providing cultural context to a variety of professions. Graduates of the civil and environmental engineering program are prepared to handle the nation's increasing demand for infrastructure projects like expanded transportation, energy-efficient construction, water supply and pollution control systems. The academic program in communication studies emphasizes training in oral communication skills and the cognitive principles and strategies that support them. The refinement of communication skills in public, interpersonal, small group and organizational contexts is central to both personal and professional growth. The essence of public health is prevention and includes organized interdisciplinary efforts that concentrate on the physical, mental, social and environmental health concerns of communities and populations. The School of Community Health Sciences offers two undergraduate specializations: public health and kinesiology. This program prepares graduates to meet Council for the Accreditation of Counseling and Related Education Programs standards. It is built for students wishing to pursue counselor education positions, excelling in research, writing, teaching, service, securing external funding, assuming professional leadership roles in the counseling field and providing clinical supervision. Criminal Justice is an interdisciplinary field, drawing on theory developed in sociology, law, psychology, political science and related fields. Those who major in the field commonly advance to careers as police officers, lawyers, judges, probation officers or detectives, to name just a few possibilities. We offer cybersecurity education in an interdisciplinary environment that seeks to integrate technical expertise, business savvy and social context in developing holistic perspectives on cybersecurity challenges. Offered under the umbrella of the University's Cybersecurity Center, our cybersecurity degrees and programs equip graduates to provide industry-ready solutions to ever evolving cyber threats. The dance major allows students to engage in dance training and develop a deep understanding of the historical, cultural and performative lineage underpinning the field of dance. Students pursuing this major will combine the cognitive and kinetic skills necessary to enter the field as dance practitioners, makers, educators, administrators and/or scholars. Programs in developmental disabilities are administered by the Nevada Center for Excellence in Disabilities (NCED), which serves as Nevada's University Center for Excellence in Developmental Disabilities. UCEDDs work to accomplish a shared vision that foresees a nation in which all Americans, including Americans with disabilities, participate fully in their communities. Gaming is a trend in the technical industry right now, with an explosion of mobile devices, popular apps and online badges for everything from working out to conserving energy. Students gain expertise in a range of areas related to digital gaming, including artificial intelligence, computer graphics and embedded systems. This major combines the biological and ecological sciences with hydrology (the study of water quality, quantity and distribution). Water is one of our most important global resources, and as climate change continues, increased water scarcity and shifting precipitation patterns will create more demand for water resource professionals. This interdisciplinary program brings together faculty and students from a range of departments at the University, the Desert Research Institute and the Great Basin Institute. The program is for students who want to build in-depth understanding of ecosystems and the organisms that inhabit them – and help shape policies that respect these natural wonders. The economics major is designed to prepare students for positions as economic and statistical analysts in business, government and nonprofit organizations, and for the teaching profession. In addition, it provides a strong foundation for graduate study and research in the fields of economics, business, public policy and law. The degree provides rich preparation through a variety of courses and experiences related to fundamental education theories and concepts, as well as current issues and trends in teaching and learning. There are a variety of programs under Education, please refer to the specific programs you are looking for in this list. The educational leadership program focuses on advanced leadership preparation as it applies to K-12 or to higher education settings. Graduates are prepared to excel in their field of interest through a personalized, challenging curriculum that best suits their professional goals and hold careers like school administrator, university academic and administrative faculty and more. A degree in electrical engineering prepares students to develop solutions to problems, including generating and regulating electric power, manipulating signals for communication purposes and designing specialized circuits. In addition to receiving a well-rounded education in electrical engineering, students in the program can pursue an emphasis in biomedical engineering or renewable energy. This innovative program prepares you to be an elementary teacher in Nevada for grades K-8. In addition, you earn an additional license or endorsement that enables you to be effective and prepared for today's diverse classrooms with instruction in early childhood education, special education and teaching English as a second language. Engineering physics is designed for the student who desires a background in engineering science, based on a firm foundation of physics, as well as an introduction to computer science. The program is also for students who would like to pursue graduate studies in physics or engineering. The Department of English offers programs leading to the degree of bachelor of arts, master of arts, master of fine arts and doctor of philosophy in English. The programs provide a strong liberal arts education; prepare students for careers in education, writing, business, publishing and more; and enable them to compete for graduate programs. The Environmental Sciences Graduate Program is based on the tenet that graduate education in the environmental sciences requires an interdisciplinary approach encompassing the fields of chemistry, biology, ecology, physics and human health. The Environmental Sciences Graduate Program offers programs of study leading to M.S. and Ph.D. degrees. The entrepreneurship program currently includes an entrepreneurship minor and an area of emphasis in the MBA program. The MBA provides students who did not do a business undergraduate degree to obtain training in business, and the area of emphasis in entrepreneurship provides a focus on training useful for developing a startup business. The equity and diversity in education program allows educators and those in related fields to enhance knowledge, skills and dispositions to work more effectively with individuals from diverse backgrounds. Multiple dimensions of human diversity are addressed through in the program, with special attention to gender, race/ethnicity, national origin, language, social class and exceptionality. Extractive metallurgy is a subfield of materials science and engineering that focuses on understanding the processes used to extract raw materials and separate valuable metals from raw minerals. Metallurgists use chemical processes to extract and refine metals, making it a natural area of focus for both chemical engineers and materials scientists. A finance degree can be an excellent start for anyone seeking a career in financial management, banking, investments or insurance. Successful financiers not only grasp the many complex forces at work in finance, they also analyze how these forces interact, allowing them to point investors and companies toward sensible, comprehensive financial strategies. The forect management and ecology program prepares students to manage forest resources from a science-based perspective. Students incorporate the related disciplines of plant and wildlife ecology, hydrology and policy to solve current issues involved in the sustainable management of natural resources. Graduates find careers as park rangers, foresters, wildland fire managers and more. Students majoring in French gain advanced speaking, reading and writing skills in the language, as well as knowledge of French and francophone literature and film. A major or minor in French is a great way to understand international relations and helps provide context to international subjects. The Gaming Management minor is open to all students at the University. Students have the ability to focus their studies in such areas as management, public policy or the legal/regulatory environment. Its aim is to encourage and promote research and learning so that the multifaceted issues surrounding gambling and commercial gaming. Want to explore questions of identity, culture, race, gender or sexuality? The Gender, Race and Identity program provides a curriculum that will be of benefit to students who are pursuing a graduate degree in other areas, including business, history, social work, social psychology, psychology and sociology. The general studies degree program provides an interdisciplinary degree program that facilitates study across the academic disciplines and professional fields. It is designed for students whose academic interest or career objectives require an individualized approach and allows students to design their own program of study. The interdisciplinary Ph.D. degree in geo-engineering covers a variety of research topics, including soil and rock slope stability, rock mechanics, geologic fracture mechanics, volcano hazards, urban geo-engineering, aerospace remote sensing, pure and applied geomathematics/geostatistics and planetary geomechanics. Prospective applicants should have a degree in the geological sciences, physical sciences or engineering. The Geography Department offers a comprehensive, rigorous study of landscape change and human-environment interactions across a full complement of degrees. Coursework emphasizes proficiency in human geography and physical geography, geospatial methods and human/environment interaction. Departmental specialties include the American West, biogeography, climatology, cultural historical geography, land use planning and water resources. The Geological Engineering program focuses on geologic hazard mitigation and natural resources characterization. The program applies physics, chemistry, meteorology, hydrology, biology, geology and engineering science to understanding the Earth, recognizing and coping with environmental hazards, exploiting natural resources while preserving the environment, and exploring Earth's context in the solar system. Geophysics applies mathematical and physical principles to the study of the Earth and planets. The curriculum introduces the global properties of the Earth (gravity, magnetic field, crustal motions, interior dynamics) and the determination of near-surface and interior properties through the use of seismology, electromagnetics, potential fields, remote sensing, geodesy and GPS. Gerontology is vital to those choosing careers in health care, public administration, education, business, recreation, social work, nursing, nutrition, psychology, speech pathology, audiology, law and many other professions. Faculty mentoring relationships fostering student research, critical thinking and practical application of theory prepare student scholars to enter a variety of careers related to aging. Historic preservation is a rapidly expanding field devoted to the understanding, recording, preservation, restoration or adaptive reuse of significant objects, buildings, sites, neighborhoods, districts or engineering works that reflect a portion of the nation's historic and prehistoric cultural heritage. Particular emphasis is placed on the heritage of Nevada and the American West. Programs in the department of history offer students the understanding of the scholarly discipline of history through the expansion of historical knowledge, the comprehension of historiography and the practice of critical inquiry. Framing the questions that define particular scholarly debates underlies critical analysis of primary and secondary sources. The program prepares students for a variety of careers such as administrators of child development or family services programs, child development specialists, school age program coordinators, youth program specialists, community education instructors, parent educators, family financial planners, consumer advocates and family public policy advocates. The hydrogeology curriculum provides a foundation in physical, chemical, geological and quantitative sciences as a basis for understanding the hydrologic cycle and managing water resources; prepares students for entry-level professional careers in firms and agencies that address hydrologic, hydrogeologic and environmental geology issues; and prepares students for graduate study in hydrologic sciences. Few things are more vital to a community's health than the quality and safety of its water supply. Hydrologists play a key role in protecting this precious resource. The hydrology program is ideal for aspiring professors, and it can also impart skills valuable in other public- and private-industry careers. This program gives graduates the ability to understand and manage current and emerging information systems and confers excellent technical management and communications skills. A background in information systems allows for higher-level understanding of how computer systems interface with each other – and thus facilitate and foster the spread of knowledge and ideas. This program provides advanced training for educators or prospective educators, a strong theoretical and practical foundation in dynamic instructional design and concurrent knowledge and skills to integrate contemporary digital technology in a variety of educational and training settings. Stduents are prepared to be active researchers with solid research skills and academic publication agendas. The international affairs program draws courses from a variety of academic disciplines to provide students many perspectives on their area of study. Students have flexibility in planning a curriculum suited to their particular interests and career goals, including courses from a variety of departments. International business is an undergraduate program designed for those individuals who intend to prepare themselves to meet the challenges of this exciting new business era. Our program focuses on the principles and practices of businesses that cross national boundaries to operate in the global business environment. Water is one of the most important resources on Earth, and it isn't always clean or in good supply. In this program, students learn the fundamentals of environmental science, such as ground water hydrology and water chemistry, including how to compile and analyze scientific data, and how to write a technical report. From the Renaissance to contemporary Italian culture, the Italian studies program covers a lot more than just the language itself. Students learn grammar, vocabulary, conversation, composition, history and more in this program offered through the Department of World Languages and Literatures. The College of Liberal Arts offers an undergraduate minor in Japanese studies in the World Languages and Literatures Department. Students learn the Japanese language and will be immersed in its history and culture. A minor in Japanese is a great option for students looking to enhance their chosen majors with an international emphasis. The Reynolds School helps students turn their passion for storytelling into careers in news, broadcasting and documentary, public relations and advertising, Spanish-language media and visual communication. Students prepare for the professional world in the school’s own production centers as well as with media partners. As the challenges facing our court systems mount, it is essential that the judiciary be equipped for transition. At the forefront of this movement is the highly successful Judicial Studies Program at the University of Nevada, Reno, one of only two such programs offered nationwide. This a special degree program offering a broad selection of courses including foundation courses in justice theory and process, essentials of justice management and courses specific to areas of concentration such as juvenile justice management, adult justice management and executive court and agency administration. The curriculum provides a foundation in planning tools and methods, along with a thorough analysis of contemporary planning practice including the most innovative approaches. Our graduates are prepared to perform the tasks required for entry-level planning positions, and possess a broader perspective that is critical to the advancement of their careers. Literacy is essential to learning, multidimensional in nature and influenced by linguistic, psychological and sociocultural factors. We prepare and support teachers and researchers to better understand pressing literacy issues and to meet the literacy needs of every student. Students develop advanced knowledge in teaching reading, writing, spelling and vocabulary development. Graduates of this program are equipped with the tools to lead marketing and advertising campaigns, assist with corporate mergers or build successful businesses. In essence, the tools a graduate receives after receiving a degree from the Managerial Sciences Department include the ability to effectively communicate, collaborate and lead. The marketing program gives students strategic insight into one of the most vital components of modern business. Students will be able to help companies and organizations identify customers, develop advertising campaigns, conduct business development research and explore new avenues of brand promotion. Marketing is both a social and managerial process. Materials science engineers are at the forefront of developing and testing new materials that can stand up to extreme environments, such as high heat or high pressure, or that are lighter or stronger than their predecessors. These new materials may be used in diverse industries such as health care, manufacturing or energy. Programs include tracks for applied mathematics, discrete mathematics/operations research, statistics or general and pure mathematics study. The curriculum includes a broad background in foundational areas, as well as specialized courses leading to the frontiers of relevant areas. The applied emphasis includes interdisciplinary topics. Mechanical engineering is a broad field that can include everything from aerospace engineering to fluid mechanics to biomedical applications. Mechanical engineers may work with nanoscale materials invisible to all but the most powerful microscopes or they may be involved in engineering massive airplanes or rockets. The University of Nevada, Reno School of Medicine trains future physicians to exercise compassion and commitment in the practice of medicine and do their part to improve health care worldwide. Students have the opportunity to partake in world-class basic, translational and clinical biomedical research studies. Medieval and Renaissance studies is appropriate for students majoring in the following disciplines: anthropology, art, criminal justice, English, world languages and literatures, history, mathematics, music, philosophy, political science, psychology, sociology, speech communication and theatre. This interdisciplinary program provides students with historical context and unique analytical skills to understand western culture and ancient history. Using engineering principles, metallurgists process ores to concentrate, extract and refine valuable components. They are also involved in the design, development and operational evaluation of metal components for structural and moving systems. Metallurgical engineers are trained in mineral processing, extractive metallurgy and physical metallurgy. Molecular microbiology and immunology provides in-depth studies at the molecular and cellular levels on the bacterial, viral, fungal and protozoan pathogens of humans, including their molecular structures, life cycles and mechanisms of pathogenesis. Students also receive an in-depth understanding of the mammalian immune system and its role. The military science programs offers students a combination of classroom theory and practical application. The program instills the necessary traits of a lifetime leader – knowledge, proficiency and experience – to prepare students to graduate as a Second Lieutenant. Military science students gain invaluable experience designed to be used in any environment. The program includes courses in mine design, mining technology, computer applications to operations control and management, environmental concerns, industrial safety and health and mineral economics. The curriculum provides students with a broad background for a career as a modern mining engineer. Graduates are prepared for industrial employment or further advanced study. The museum studies program offers students an opportunity to explore the expanding field of museum work and museum research. The minor is designed to provide an introduction to the field, exposure to some of the skills and techniques required of a career museologist and an initial apprenticeship experience in a museum setting. The Department of Music boasts a faculty of world-class performers and scholars committed to providing a creative, vibrant and challenging center for artistic development. The Department's dedication to student and faculty ensemble performances reflects the belief that interactive rehearsals and live performances teach students the technology and social dynamics of being a musician. Objects measured in nanometers are far too small for the human eye to see, and even a typical microscope isn't powerful enough. The nanotechnology program is open to all students but is geared toward students in engineering and science seeking specialization in the processes, systems and phenomena at the nanometer size scale. The natural resources and environmental science program provides advanced study of the ecology, management and restoration of range, forest, and wildlife ecosystemsIn order to provide economic, societal and environmental security in a dynamic and changing environment, NRES faculty engage in basic and applied research. The Institute of Neuroscience is a highly collaborative, multidisciplinary group of researchers seeking to tackle big questions in neuroscience while preparing students for a career in this exciting field. Our faculty have expertise in molecular genetics, behavioral analysis, developmental biology, electrophysiology, optogenetics, human psychophysics, virtual reality and functional MRI and EEG. Graduating from NevadaTeach provides you with all of the coursework to pursue a teaching license at the middle or high school level, while earning a comprehensive and marketable degree in your STEM discipline. Nuclear and other radioactive materials are used for large-scale production of electricity, advanced medical treatments, food sterilization and sophisticated measurement technologies. To benefit from these uses, packaging that protects the public and the environment during the storage, transfer, transport and disposal of these materials must be developed, inspected and maintained. Nurses provide a range of health care services in a variety of settings, such as public health agencies and hospitals and work as clinicians, researchers, and health care policy advocates. The Orvis School of Nursing is a top option for training tomorrow's nurse professionals. Students pursuing nurse practitioner training gain the skills necessary to provide primary care to individuals, families and communities; utilize the process and method of scientific inquiry in the study of nursing; contribute to the development of nursing science; and pursue opportunities for enhancement of advance practice. The Pack Teach program is a dual degree program that prepares students to become licensed secondary education teachers. This four-year program offers students the opportunity to gain a strong liberal arts education, excellent preparation in their content area discipline, as well as the foundational and applied knowledge for instruction. The philosophy program prepares students for disciplined thinking. Students gain the tools necessary to read and listen critically, to reason appropriately and engage in confident expression. Our department is an active and friendly one, combining philosophical rigor with an open and receptive relationship to students. Physician assistants work with physicians and other members of a health care team to deliver many types of patient care. PAs routinely perform physical exams, order and review medical testing, diagnose and treat illnesses, assist in surgeries, counsel patients and families on preventive health care and handle numerous other high-level medical tasks. The study of all fundamental forces and processes from the subatomic to the "astronomic" size scales is the purview of physics. For students of science other than physicists the purpose of learning physics is both the understanding of basic concepts and the application of problem solving skills developed during that process. Political science is the study of power, who wields it and to what end. Program majors study how governments interact with individuals or other governments and examine the results. The study of politics is an essential component of a liberal arts preparation for citizenship and leadership in a democratic society. While other scientific fields, such as neuroscience, focus their studies on the physical structures of the brain, psychologists examine human actions to better understand the mind. Because the brain is the guiding force behind practically all behaviors, studying people's actions provides psychologists empirical insights into the way the mind operates. This program prepares people for careers in public administration and policy analysis. It improves managerial competence of persons presently in public service through the advanced study of administrative processes and problems and provides an increased understanding of policy issues and research skills. Public health is a dynamic profession covering a broad spectrum of services. This program prepares graduates for employment in nearly any area of the public health industry. The comprehensive curriculum includes public health policy, finance and budget, health informatics, epidemiology and biostatistics. The rangeland ecology & management curriculum provides a solid foundation for science-based decision making in natural resource management. Students acquire a strong background in basic sciences and critical issues in vegetation ecology and management, sustainability and restoration of rangeland resources, watershed integrity, wildlife habitat, forage use and conservation of natural ecosystems. Students in this program learn about religions around the world; read religious texts, commentaries and analyses, and reflect on their meaning and importance; and discuss the concept of religion, its origin and construction, its power both to show and hide the phenomena it denotes. We offer two programs in renewable energy, open to students in all fields, that are designed to complement their chosen field of study by exposing them to crucial technical, economic and social issues relevant to renewable energy. These interdisciplinary programs help students apply knowledge gained in their majors to alternative and renewable energy. The secondary education program is committed to preparing teachers to meet the challenges of today's classrooms. The faculty provides an educational program that enables students to develop a strong foundation of knowledge about teaching and learning, display a love of learning and engage in reflective practice about one's growth as a teacher. The social psychology program applies rigorous psychological and sociological scholarship to better understand the processes, structures and contexts that shape social interactions. Our interdisciplinary focus allows students to experience a wide range of perspectives in the field of social psychology. Social work is a popular major among students who want to help others. Countless people today depend on aid and advice from social workers. The emotional rewards that come with helping clients can also be significant and keep social workers engaged in their field. We offer both undergraduate and graduate degree options, including a robust field experience training platform as well. Sociology is the study of humans in their social groupings. Students learn to examine the development of social classes, gender roles, racial prejudices, social analysis of politics, economic structure, the development of modern industrial society, and a variety of other issues relevant to the study of society and social structure. The College of Liberal Arts offers undergraduate and graduate programs in Spanish. Students will not only learn the Spanish language but also get a broad understanding of Hispanic-American and U.S. Latino culture and literature. A major or minor in Spanish is very beneficial in the professional world. Special Education trains undergraduate and graduate-level teachers in working with students with a variety of disabilities. Prepare to be a special educator or disability specialist or to earn endorsements in new areas of specialization. Program concentrations are available in mild to moderate disabilities, autism, early childhood/early intervention, behavioral disorders, and severe disabilities. Speech pathology incorporates elements of audiology, speech, language and disorders to give students the complete knowledge of the field. The purpose of specializing in speech pathology is to evaluate and diagnose speech, language, cognitive-communication and swallowing disorders. The need for specialists is high due to more cases of neurological, speech, language and hearing disorders. Statisticians apply mathematical and statistical knowledge to the design of surveys and experiments; the collection, processing, and analysis of data; and the interpretation of experiments and survey results. Opinion polls, statements about the accuracy of measuring devices and information about average earnings in an occupation are all usually the work of statisticians. The STEM education area of emphasis prepares educators to pursue higher education careers or leadership positions in mathematics or science education. Students in this program develop expertise in mathematics or science education by studying and engaging in research on how students think and learn in these content areas. The Teaching English to Speakers of Other Languages program gives graduates the chance to work all over the globe and in a variety of contexts. TESOL is offered through the College of Education's Literacy, Language and Culture Department and can augment other teaching programs. The theatre major is part academic discipline, part technical craft and part art. It requires students to learn and explore facts and concepts, encourages students to develop technical proficiencies and supports students in their own personal development. This program strives to provide students with a balanced experience as theatre scholars, technicians and artists. Unmanned autonomous systems are the next big step in the fusion of mechanical systems, computing technologies, sensors and software to create intelligent systems capable of interacting with the real world. The emerging industry requires highly educated individuals who understand the fundamentals of UAS in terms of design, engineering, operation and data analysis. The University of Nevada, Reno offers a pre-professional program in Veterinary Medicine (Science) through the Department of Agriculture, Nutrition and Veterinary Science. The pre-veterinary curriculum satisfies the entrance requirements of most schools in the United States offering a Doctor of Veterinary Medicine program. The wildlife ecology and conservation program prepares students to study wild animal populations, management of game and nongame species and conservation biology of threatened and endangered species. Ensuring habitat for wildlife in an increasingly urbanized world, protecting wildlife in the face of climate change and invasive species and more are covered. The World Languages and Literatures Department helps students to master another language and immerses them in the culture of which they study. Students who graduate from the program are able to communicate effectively with indigenous people and are culturally aware of their behaviors. This interdisciplinary program in the College of Liberal Arts provides students with an understanding of women in historical and contemporary contexts and an exploration of gender as it influences scholarship and human relations. The program is multicultural, emphasizing the intersection of race, class, sexuality, gender and ethnicity.